that passed between us was simply amazing. My heart opened totally, like a little child's, in pure wonderment. Manipulativeness breaks the chain of love. That is not something I can fix or repair. I'm not doing it so therefore it is not mine. be open to healthier more loving possibilities. I am open to reciving love and it happens! Here this little owl comes along, tiny, bold, vulnerable and fearless. My light in the nighttime, her actions filled with light, her message clear. My harbinger of love:) The universes way of illuminating truth. I call this courage because it does take a lot of courage to face your fears about someone. It can work both ways. This is a magical moment where love, not fear, is given a chance to blossom into a beautful friendship. 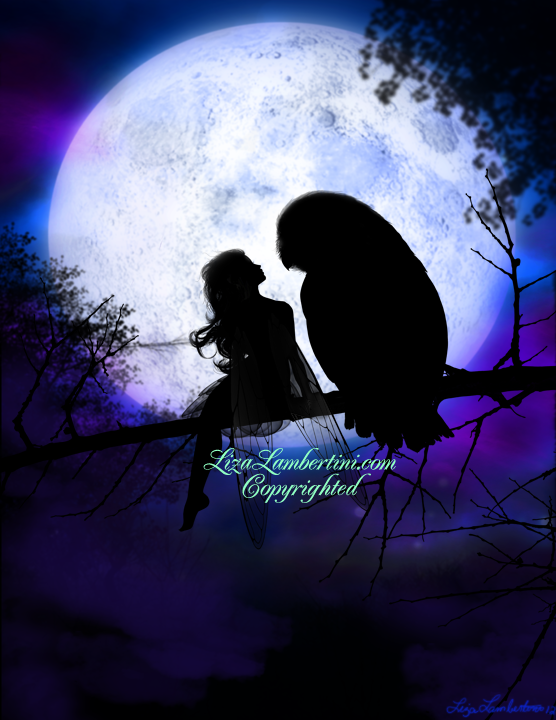 Do you believe in Faeries and Owls? I do. I really, really do. Love shines no matter the time of day or night. as I know in my heart is as intended to be. The circle complete. This was no coincidence. Blessed be.